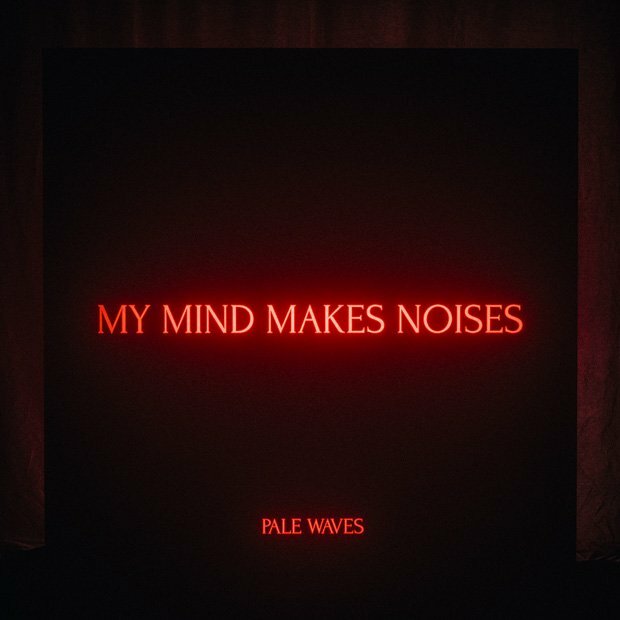 Pale Waves' debut album is one of the most anticipated indie releases of 2018. Formed around core songwriters Heather Baron-Gracie (vocals / guitar) and Ciara Doran (drums) at university in Manchester, from their first releases online they've picked up fans before finding a natural home at Dirty Hit Records, alongside The 1975 and Wolf Alice. Visually striking, with their heavy goth makeup, their music is almost the exact opposite of their image. There's a modern sheen with R&B beats and shiny electro but it also looks backwards, heavily indebted to the 80s, not just obvious influences like The Cure and Siouxsie & the Banshees but equally Cyndi Lauper, Kim Wilde and The Bangles. My Mind Makes Noises is frontloaded with singles 'Eighteen', 'There's a Honey' and 'Noises' coming on like a rush of teenage hormones. Each track opens with twinkling electro before being drenched in a wave of guitars and synths. There are few deviations from the formula, such as slowies 'When Did I Lose it All' and 'She' which effectively portray the vulnerability of youth with lines like 'are you getting off with someone else?' or 'how could you stop loving me in a matter of days?'. Before it kicks back to life with 'One More Time', the heady delights of 'Television Romance' and the electronic disco throb of 'Red'. MMMN takes its biggest left turn on final track, 'Karl (I Wonder What It's Like To Die)', a delicate, simple but beautiful reflection on the death of a parent. It's a bit repetitive, they could easily cut two or three tracks for a tighter album. Lyrically, it hardly deviates from tales of teen romance and angst, however every line feels authentic and honest, capturing the overwhelming emotional turmoil of teenage life when every love is the greatest love and every heartbreak is earth shattering. Out 14 Sep on Dirty Hit Records. The Manchester-formed four-piece offer up a glittering alt.pop performance.